The Federal Reserve issued a final rule today that effectively bans yield spread premiums paid to mortgage brokers, along with loan officers employed by depository institutions. These loan originators will no longer be able to bump mortgage rates higher or steer consumers toward certain loan products in exchange for a higher commission. This was a major problem prior to the mortgage crisis, when the highest risk loans (option arms) were often accompanied with the greatest compensation. “The new rule seeks to ensure that consumers who agree to pay the originator directly do not also pay the originator indirectly through a higher interest rate, thereby paying more in total compensation than they realize,” the Fed said in a statement. However, loan originators can continue to receive compensation based on the loan amount via mortgage points. For example, originators may collect one percent of the loan amount, or $2,000 for a $200,000 loan, in upfront closing costs. They just can’t adjust their commission based on the interest rate associated with the loan. The final rules are effective April 1, 2011. A number of other rules were proposed today, including a provision that consumers be notified when their home loan changes hands. This is another important rule seeing that loans are quickly resold to other companies shortly after origination. These days, it’s rare to see the originating lender actually retain the loan. Usually, within a month or two, the loan servicing rights are sold off to an entirely different company. 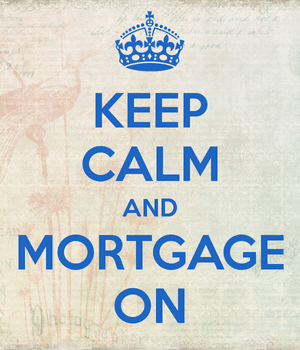 While this might be perfectly legal, it can lead to a lot of confusion in terms of who to make mortgage payments to. It can also foster scams if borrowers aren’t sure who their “lender” is. The move should help facilitate loan modifications, while reducing payment confusion and mortgage-related scams. Additionally, mortgage lenders‘ cost disclosures must include a payment summary in the form of a table, which displays the interest rate and corresponding mortgage payment, along with the maximum rate/payment for the first five years and the life of the loan if it’s an adjustable-rate mortgage. It must also include the fact that consumers may not be able to avoid increased payments by refinancing their current loan(s). These rules are applicable come January 2o12.